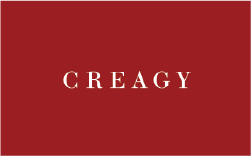 CREAGY AG is a Swiss based professional service firm. Founded in 2006, an experienced team consisting of engineers and economists develops leading edge solutions for enterprises in the financial services and healthcare industry (where IT is enabler for both differentiation and / or productivity). Together with our customers, we create innovative products and services. CREAGY acts as participant in the ongoing AAL projects INSPIRATION , REVOLUTION and DayGuide.